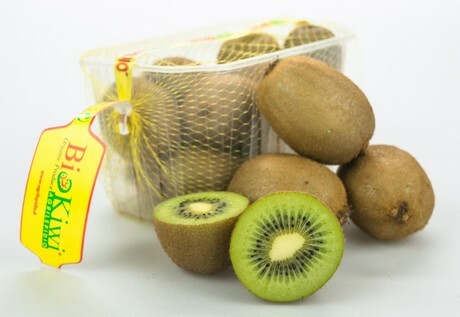 "The Italian kiwi campaign started slightly late, due to the last of New Zealand products being still on our markets, which have covered a longer period, this season. In addition, the influence of the Greek product has greatly disturbed the mood of the Italian market: in the initial phase there was therefore strong competition to the advantage of Greece and at our expense. In terms of yield, we were expecting more and, due to abnormal weather conditions, the gauges were slightly lower. Alfio Lepidio, director of Agrilepidio Srl, a company specialising in kiwi processing based in Cisterna, in the province of Latina, talks to FreshPlaza about this. "The positive note, however, is the good shelf life of the product, which we initially doubted. "25-30% of our fruit has already been sold, but it is clear that the bulk of the quantity has yet to be marketed - adds Daniela Lepidio, the company's sales manager - We are confident of a recovery from mid-January onwards; with the lowering of temperatures we hope that the consumer will be encouraged to buy more of the fruit. December was very hot, especially in Northern Europe, so consumption did not take off. The destinations for the production of Agrilepidio are always the same. "Depending on the season, there may be greater demand from South America, North America or Asia, but in general we maintain business relations with all our customers and try not to lose them, despite the difficulties we have mentioned". "Each market - adds Alfio - is positioned on a specific product and calibre range. This aspect has remained almost unchanged. Consumption has fallen. Moreover, and I am not saying anything new, the lack of Russia as a commercial destination is being felt: in fact, it was a market that absorbed both small and medium sized gauges and the first-tier product, albeit to a limited extent. North Africa's lack of balance sheets and sales projections also weighs heavily". 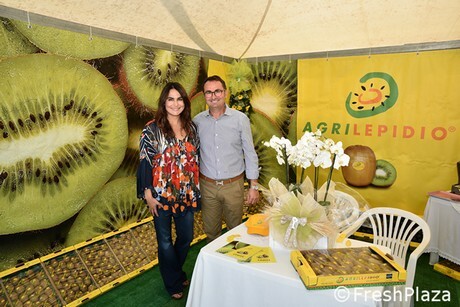 "In this segment we are receiving great satisfaction, as there have been new contacts and new business relationships - says Daniela - In order to satisfy customers and follow market demands, we have installed new machinery in the warehouse for packaging kiwis in trays with flowpack, for example, and we are focusing on eco-sustainable packaging. This should allow us to intercept further potential customers. Speaking of markets, the manager adds: "We note that within the traditional channels, there are additional openings/possibilities. Customers in Northern Europe, for example, together with conventional loads also require us to have biological batches. The organic trend seems to be becoming more and more successful year after year. "We are registering a greater awareness of customers for this type of product and, of course, we want to seize the moment, says Alfio. As a family business we have an important area, with new plants dedicated to this type of cultivation. Agrilepidio is a commercial company that processes the product of the lecturers. It boasts an agricultural area of 150 hectares of family farms, of which 35-40% are conducted organically. At the varietal level, the workhorse is still the Hayward kiwi, but small trials are being carried out on new cultivars; everything is still in its embryonic phase. "The company is constantly growing and our goal remains to provide maximum service to customers, to meet their needs - conclude Daniela and Alfio - This, in our opinion, is the winning weapon to move forward in a market increasingly competitive, aggressive and constantly evolving.